Wale is back with yet another new album, The Album About Nothing! For those wondering, that's not sarcasm at all. I'm quite excited about this release. Aside from following Wale for the past few years, what immediately brought me in on this album was the lead single, The Matrimony. Featuring Usher, that song, simply put, is the truth! "If there's a question of my heart, you got it, it don't belong to anyone but you, if there's a question of my love, you got it, baby don't worry I got plans for you, baby I been making plans, baby I been making plans got you"... He got apply that to the obvious, which would be his girl, but it could easily apply to his career! He could be easily be saying to you, the fan, that he's got plans for you! Usher was definitely the perfect choice to drive that point across. Great lyrics! Great melody! Great production! That's all we want, right? Well...yes! In a perfect world, that's what we'd always get with artists, but that's neither here nor there. Looking at his growth over the years, Wale has done just what any artist should do, for me anyway. Obviously, he wants to entertain and satisfy his core audience, but his job is also to bring in those who are skeptics, and those who are new to what he's got to offer. No, I'm surely not a newcomer to his music, the genre, or anything surrounding it, but I know I'm not the only skeptic when it comes to today's music (time and time, I show my age (smile)). There's a lot that we tend to tolerate in music today, and the love & passion just isn't there for many artists, no matter how hard you search for it. Execs are in search of that next hit, so there's not a lot of ro for experimentation and artists with a voice. Wale has managed to skate by the nonsense and progressively get better and better. Sure, he's got those tracks that are meant to serve the streets, but he definitely has a gift like no other. I'll tell you when I knew it for certain. In 2013, he had the single LoveHate Thing with Sam Dew! He and Sam Dew literally murdered that track. 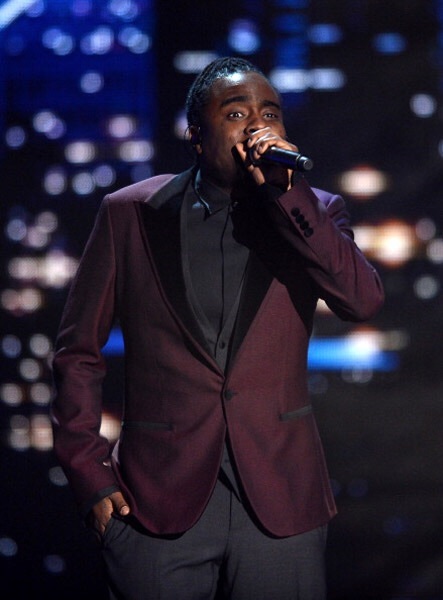 I was pretty much sold, but when I watched LiVE as he performed it at the Soul Train Awards with Stokely from #MintCondition, it sealed the deal. That performance alone made my trip all the way to #Vegas worth it. I saw the passion that he carried behind his product. Not many have the charisma to entertain the masses. Not many are ready for the world, but he is. Seems like yesterday we were talking about Festivus and how he was breaking ground with that. Wale certainly maintains his freshness and relevance with The Album About Nothing. On "The Intro About Nothing", he says flat out, his "hunger is like a f**king model at a buffet"! He and J. Cole go in about everything from LHHATL to our culture overall on "The Pessimist"! He raps ..."Who am I to change perception, if a n***a kill a n***a he's another statistic, if the skin a little different they gon' say it was self defense, n***a feel in' hopeless". His flows definitely make you think, which has always been the idea behind hip-hop and it's purpose, or at least that's what it should have been. From "The Middle Finger" and "The Girls on Drugs" to "The God Smile" and "The Success", the entire album will resonate with the audience. Other album guests include SZA on "The Need to Know" and Jeremih on "The Body". In line with the progression that any artist should make, I feel like "The Album About Nothing" will easily stand as Wale's best work to date. He's done the job of expanding and broadening his content along the way, and he's giving people something of value to listen to. The world is clearly listening, especially when he's got narration from Jerry Seinfeld. I don't care what anyone says, THAT is HUGE for Wale! That is HUGE for hip-hop! With this album, hip-hop is now being recognized for all the right reasons!